Twitter TWTR recently announced that the company found a bug, the second time this year, which may have exposed customers’ direct messages and personal tweets to unauthorized developers. Application program interface (API) developed by Twitter’s registered developers helps businesses better connect with their customers on the platform. However, the bug allowed other Twitter registered developers’ access to customers’ direct interaction with businesses. Possibly affected businesses include airlines and delivery services. Twitter notified that the bug, which was active from March 2017, was detected on Sep 10, following which necessary actions were taken. Notably, the company directly contacted the users, whose accounts might have been affected. However, the users were not immediately notified of the bug, per TechCrunch. 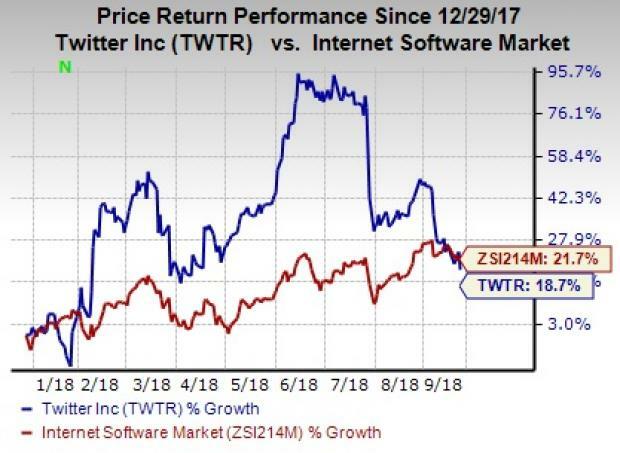 We note that Twitter along with Facebook FB and Alphabet’s GOOGL Google are under constant scrutiny over repeated failures to secure the platform. Twitter is trying to curb the spread of news that may negatively impact its users, especially before the 2018 U.S. mid-term elections. The company recently banned “conspiracy theorist” Alex Jones and his website Infowars from the platform. This comes after Apple AAPL, Alphabet’s YouTube and Facebook prohibited Jones’ channels and related videos. Additionally, Twitter also unveiled measures to uphold user security by addressing the issue of abusive “trolls” on the platform. The social media provider revealed that instead of waiting for people to report such tweets, it will use behavioral signals to identify and limit their visibility. Moreover, the company’s buyout of Francisco-based Smyte, which helps to stop online abuse, harassment, spam and protect user accounts, is helping the company to take the security measures a step forward. Twitter’s proactive stance in eliminating malpractices on its platform through various initiatives is expected to drive top-line growth, going forward. Twitter currently carries a Zacks Rank #3 (Hold). You can see the complete list of today’s Zacks #1 Rank (Strong Buy) stocks here.